Happy Sunday all! I'm showcasing a new project on the PI Blog today using two Paper Issues favorites: Swag Bags and a sketch. The April Swag Bag was so, so good. Exclusive PI + Pinkfresh Studio rub-ons, lots of Fancy Pants Designs Office Suite and touches of gold. 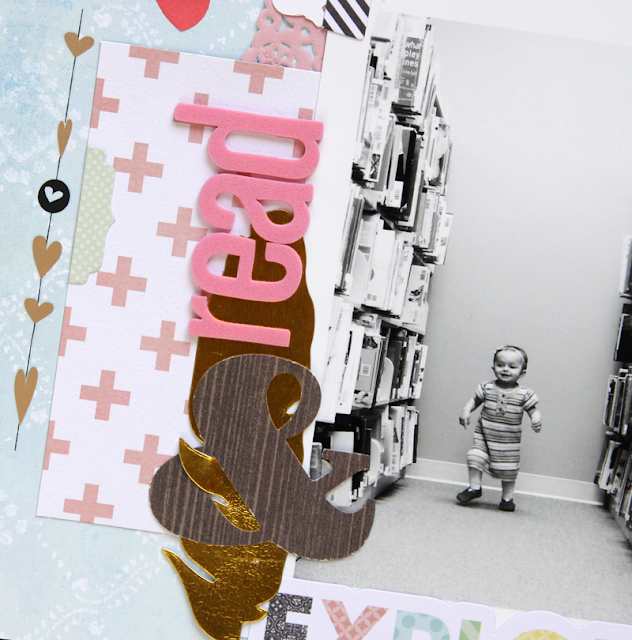 I snapped this photo of Amalia as she was exploring the library last week and could not wait to get it scrapped. I pulled soft pastels and pops of bold black and white from my Swag Bag to build my layout and to play off the picture. The exclusive rub-ons are so gorgeous in black and gold and take to paper like a dream! I've been keeping this awesome PI sketch by Jen Chapin in mind and used it as inspiration for this page. 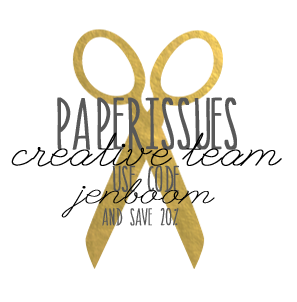 You can use code JENBOOM to take 20% off any Paper Issues order. Happy shopping and creating!